The first in a series of preview posts for Big Ears 2018. Share this widely if you please. Last year, somebody that looks like me called Big Ears “the best festival pound-for-pound in the United States”. It was a lush feast, damn near too much for any human to absorb in a four-day stretch.1In fact, it was well more than too much for one set of ears. I caught 27 full shows in 4 days, plus another three I sampled that were not for me. By the end of it, my knee was swollen, my feet were aching. My ears were full; I drove home in seven hours of road hum silence, and did not intentionally listen to music for at least 4 days beyond that. I was done. It was heaven. I could not imagine anything better. And now comes the 2018 version which is, probably, better. As always, there are big themes at play in the Big Ears lineup, and central characters from which a great deal of the action emanates. 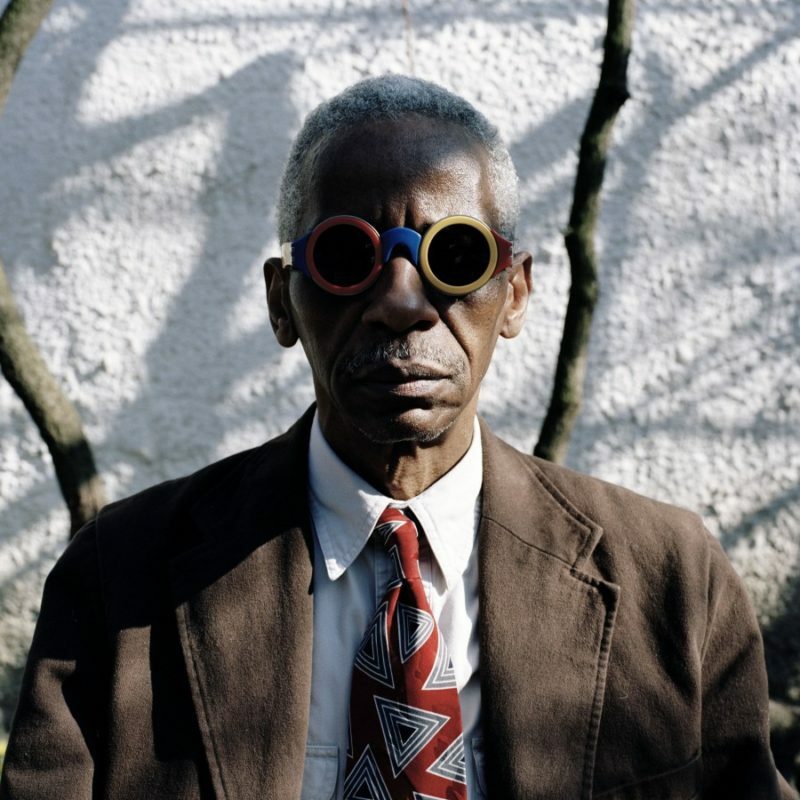 Perhaps it is a function of personal bias, but I’d call this the Year of Roscoe Mitchell. I have been a fan of Roscoe Mitchell since a spring day in 1979 when I attended a concert by the Art Ensemble of Chicago in Athens, GA. Over the years, I found myself driving preposterous distances to see them perform.2One such road trip, in 1980, found me in Knoxville at the Bijou Theater. The promoter that night, Ashley Capps, went on to found the Big Ears Festival. Thus do a couple of circles come full. This year, Roscoe is performing several times, and a number of other musicians who owe him an artistic debt are appearing as well. I am building my schedule around these events, Roscoe as the hub and his comrades – Tyshawn Sorey, Craig Taborn, Even Parker, and so on – the spokes of the wheel. Mitchell is recently enjoying something of a moment, with multiple album releases and large-scale commissions (he was wrapping up an orchestral recording when I spoke to him a few days before the Festival) and glowing notices in the NY Times and the Village Voice (among others). It might seem as if this is some sort of comeback, but the man has been composing, performing, and recording at a steady clip for a little more than 50 years now. Last year, ECM released his Bells for the South Side, recorded live in 2015 at Chicago’s Museum of Contemporary Art as part of an exhibition devoted to the 50th-anniversary of Association for the Advancement of Creative Musicians.3There is much to be said about this phenomenal organization. It was and is truly revolutionary. It is a miraculous recording that serves as both retrospective and clarion statement of current intent. It is a dizzying combination of composition and improvisation and at Big Ears, the same nine musicians will reassemble for the first time since that recording. Mitchell’s output far exceeds the capacity of any single label to release it all, but there seems no shortage of outlets for his work.4This, too, is an indication of his commitment, as anyone who has ever tried to release an album, book, film, etc. can attest. His association with ECM records began in the late 70s with the Art Ensemble. But he goes back even farther with the Nessa label. Chuck Nessa worked for Delmark when Sound was released. Mitchell and Lester Bowie urged him to split away and form his own label. In 1967, the first Nessa release, Numbers 1 & 2 under Lester’s name, is another groundbreaker, and a clearer antecedent to the Art Ensemble with the addition of Joseph Jarman. In 2018, Nessa released Ride the Wind by Roscoe Mitchell and the Montreal – Toronto Art Orchestra. Mitchell plays on just one track here, a blistering sopranino sax solo on “They Rode for Them – Part 2”. Click here folks. School’s in. The rest of the album is an orchestral performance based on transcription of a Mitchell Trio performance from 2013. It is wondrous, and a fine example of the range of structures he is ready to deploy in an effort to keep his music from standing still. The man will be 78 this year, yet the pace of his activity – not to mention the considerable level of fitness necessary for his performances – shows no indication of diminishing. Wherever he plays at Big Ears, I will be there, jaw hanging. I have not always understood Mitchell’s music, and to be honest, there have been times when I have been utterly befuddled and even put off. But I have never been sorry I listened to his work. Much like his fellow AACM pioneer Anthony Braxton, Roscoe’s music so clearly demonstrates intelligence, passion, and commitment that – even when I can’t figure out wtf is happening – my gut tells me to stop thinking and let the music do its work. Analysis can come later. Beyond that, it is utterly his own. He sounds like no one except Roscoe Mitchell. There are damn few artists in any discipline who match that description. In the moment, whether it is the monumental wash of sound he generates through his phenomenal technique5There is no one more skilled in the art of circular breathing, for example. or through his deployment of intensity structures (a strategy for group improvisation that creates aural tsunami), or through his careful attention to space and silences, this is music that demands and rewards attentive listening. And it is important to keep in mind that many of the more chaotic segments may in fact be composed, while many of the seemingly arranged elements are in fact spontaneous compositions. Notions of freedom v. restriction and composition v. improvisation are ping pong balls scattered on crosswinds. Try to keep up. Or don’t. It probably doesn’t matter for the most part. If you think about it too much, the music has flown away from you. The guiding light of the 2017 festival was the late Pauline Oliveros, and really, she might as well just wear that honor forever. She once held the Darius Milhaud Chair in Composition at Mills College that Mitchell now fills. Their music is similar in that it rewards deep listening in a way that defies description. Try it. 1. ↑ In fact, it was well more than too much for one set of ears. 2. ↑ One such road trip, in 1980, found me in Knoxville at the Bijou Theater. The promoter that night, Ashley Capps, went on to found the Big Ears Festival. Thus do a couple of circles come full. 3. ↑ There is much to be said about this phenomenal organization. It was and is truly revolutionary. 4. ↑ This, too, is an indication of his commitment, as anyone who has ever tried to release an album, book, film, etc. can attest. 5. ↑ There is no one more skilled in the art of circular breathing, for example.